It’s Friday, and before we break out into song and dance, let’s kick-start the weekend with some news and headlines from the Boston sports scene. * The Boston Bruins will return to the ice on Friday evening when they skate against the Buffalo Sabres at 7:30pm. If the Black and Gold are able to salvage a win, they’d be able to earn their first back-to-back wins since January 10-12. * The Boston Red Sox conducted their first official team workout on Thursday, as pitchers participated in live batting practice, so they could simulate pitching against an actual batter. Bobby Valentine was rather pleased with his numerous pitchers, especially Jon Lester and Daniel Bard. Also, GM Ben Cherington told the media that there was no current updates on team captain and catcher Jason Varitek, who is expected to make a decision on his big league career soon. 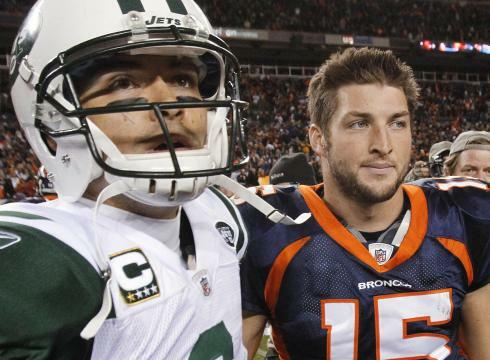 * New York Jets head coach Rex Ryan told members of the media on Thursday that his “guarantees” were a mistake. He used that particular word to attempt to motivate his team, especially since Gang Green reached the AFC Championship contest twice over the past three seasons. Although, the head coach seems confident that the Jets will be able to turn the page, continue to have fun, and focus on the overall goal — winning a championship. * The Harvard University men’s basketball team will return to the hardwood on Friday evening when they welcome the Princeton University Tigers to Cambridge, Massachusetts at 7:00pm. The Tigers defeated the Crimson earlier this season, as well as knocked Harvard out of the ESPN/USA Top-25 poll, too. New York Jets head coach Rex Ryan talked with Fox25 Boston on Friday morning, and provided his two cents on the upcoming big game between the New England Patriots and New York Giants. “Both those teams are playing great and the one thing about – the last two times these two teams have played, it’s come right down to the wire and I expect the same this week,” said Ryan. To watch the interview with Ryan – CLICK HERE. Rob Gronkowski performed quite well on Monday against the Chiefs, as he tight end caught two Tom Brady TDs. Happy Tuesday to everyone and welcome into yet another great edition of the Daily Noontime! Here’s some quality headlines and news, enjoy! * The New England Patriots earned their seventh win of the season on Monday, as they manhandled the Kansas City Chiefs, 34-3. * The Boston Bruins extended their winning streak to nine games, as the Black and Gold defeated Montreal on Monday by a score of 1-0. * The UMass Minutemen football team will have a new coach next season, as head coach Kevin Morris was fired on Monday. * Pittsburgh Penguins’ Sidney Crosby returned to the ice on Monday, and helped his team defeat the New York Islanders, 5-0. This is the great Rob Gronkowski! Once again... the Boston College Eagles lost! Alright … it’s Friday, which means… the weekend has arrived, BOOM! Here’s the day’s headlines and news, enjoy! * The Boston College Eagles looked rather unimpressive against Florida State on Thursday, and once again proved that they don’t deserve a bowl bid. 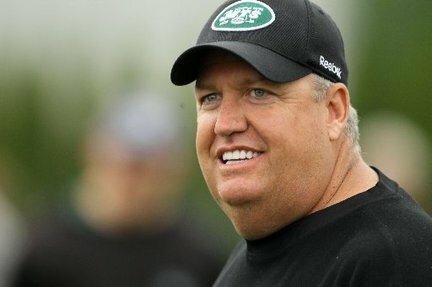 * New York Jets head coach Rex Ryan apparently will be starring in a movie with Adam Sandler, and also will be talking about the New England Patriots in it too. * Apparently the New Orleans Saints aren’t too happy that Tampa Bay Buccaneers quarterback Josh Freeman wasn’t on their team injury report. * As of Friday, November 4 – MLB teams will be able to acquire various free agents for the upcoming season, and here’s a list of the top players. * According to reports, the board has decided to allow Boise State to join the Big East Conference in 2013. Here’s the illustrious Justin Bieber free-styling, which is pretty funny, eh?